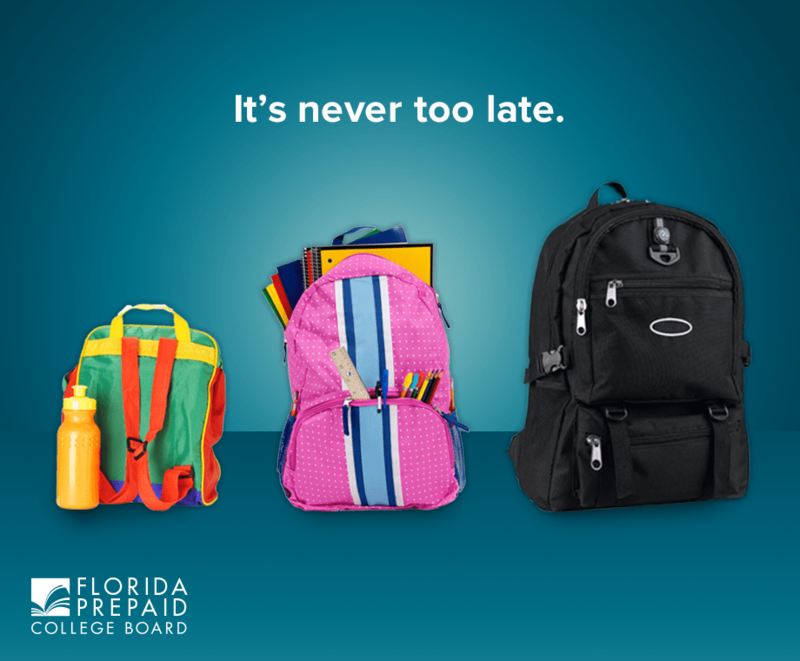 ATTENTION: I’m giving away a special swag bag pack from Florida Prepaid, including a backpack and water bottle. To enter, just leave a comment on this post letting me know Florida Prepaid plan you would choose. I’ll pick a random winner after 5pm on December 18 and notify by email. Winner must have a U.S. mailing address! Did you know the average student loan debt in 2014 has jumped to $33,000? Two-thirds of the nation’s student loan debt is help by people over age 30. Still looking for that last minute Christmas gift? Looking to start a new holiday giving tradition? It might be time to look into helping plan for your child’s or grandchild’s education at a bargain rate. The cost of college is growing every year and now is the time to lock in some good rates, especially for one of the best college systems in the nation. Families have the opportunity to purchase a 4-Year Florida University Plan for as low as $183 a month or a 2 + 2 Florida Plan for as low as $145 a month. Can’t afford those prices a month right now? The prices for the 1-Year Florida University Plan, for example, start at less than $50 per month. Both my wife and I are paying on student loans currently that aren’t nearly as high as some of our friends debt, due to our scholarships and military service. Will our son be lucky in 10 years when it’s time to attend college to get scholarship or have us still working in higher education? 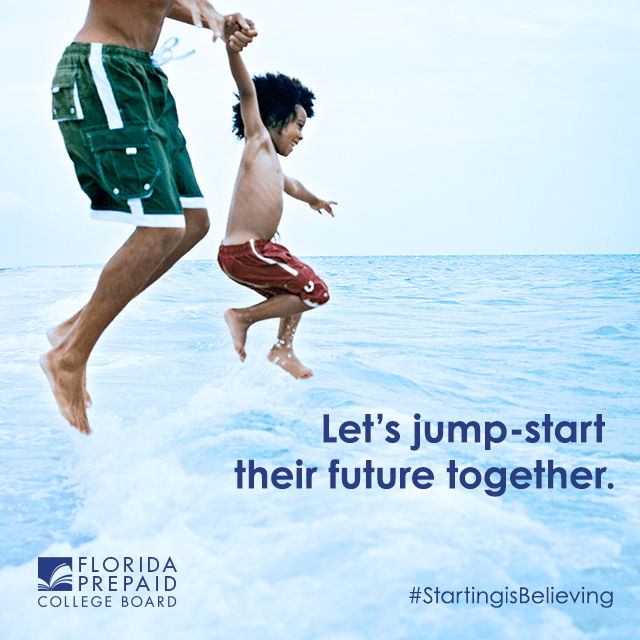 It’s time for us to think about our finances and think about Florida Prepaid open enrollment for our son. He’s eight years old and time is flying by with the cost of college not getting any cheaper. Can we cut a few cost to commit to a college fund because now it’s time to look into some of the option. I’m thinking the 2+2 Florida Plan is on of our top choices. We believe in the community college experience and know we have some of the best community colleges in the nation right here in Florida. We both actually attend one ourselves and work at one currently. 2-Year Florida College Plan, covers tuition & mandatory local fees for 60 lower division credit hours at the 28 Florida College (formerly Community College). This is great option for paying a clear path to get them to accomplish at least an Associate of Arts or Associate of Science degree. Associate of Science can be great opportunities for them to get quickly into the workforce with skills need in the community for high paying jobs. 4-Year Florida College Plan, covers tuition & mandatory local fees for 60 lower division credit hours and 60 upper division credit hours at the 28 Florida College (formerly Community College). 2 + 2 Florida Plan, covers tuition & mandatory local fees for 60 lower division credit hours at the 28 Florida College (formerly Community College) and 60 upper division credit hours at one of Florida’s State Universities. This is one of my favorite plans, especially since I’m a huge advocate of the first 2 years being at a community college with smaller classes and many opportunities transfer right into a Florida University, such as the DirectConnect program at Valencia College that helps create a clear path into the University Central Florida. Plus tuition at a Florida College for the first two years can be a huge cost savings. 1-Year Florida University Plan, covers tuition & mandatory local fees for 30 credit hours at one of Florida’s State Universities. This is the newest option and could allow other family members to contribute to help pay towards a college fund. Example: Grandma and Grandpa want to pay towards a year and you purchase another. 4-Year Florida University Plan, covers tuition & mandatory local fees for 120 credit hours at one of Florida’s State Universities. Note: All of the plans are not just restricted to Florida schools; the amount covered by your Prepaid Plan can be used at schools nationwide. Prepaid Plans will be available for purchase during Open Enrollment, continuing until Feb. 29, 2016. For more information, visit www.myfloridaprepaid.com. You might be asking yourself, why would I want to start funding my child’s college now? 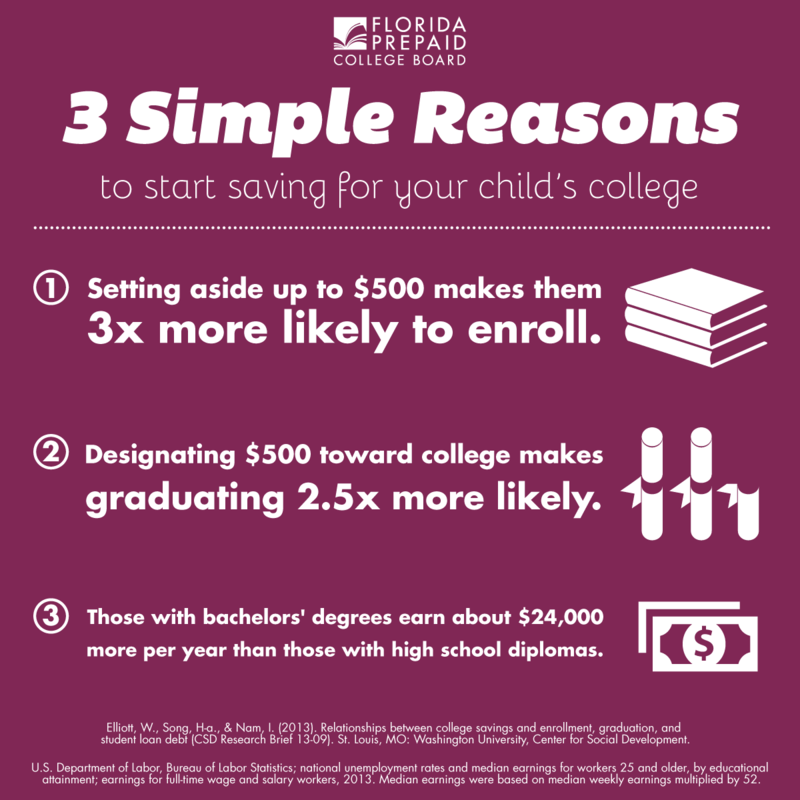 Setting aside up to $500 makes them 3x more likely to enroll in college. Designating $500 toward college makes graduating 2.5x more likely. Those with a bachelors’ degree earn about $24,000 more per year than those with a high school diplomas.